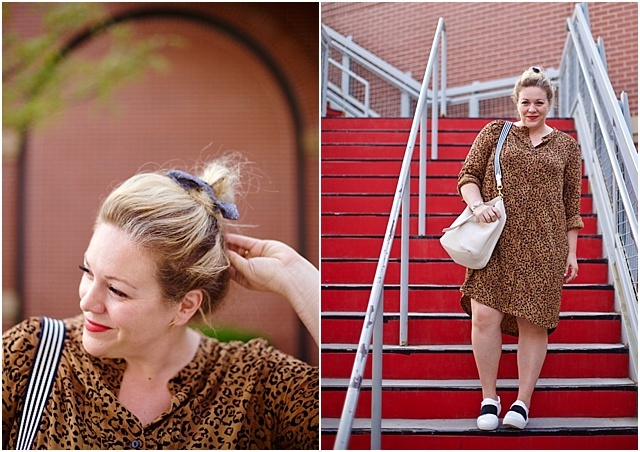 Chasing Davies: Favorite Wears: Scrunchy, Leopard & Sneakers - Oh my! 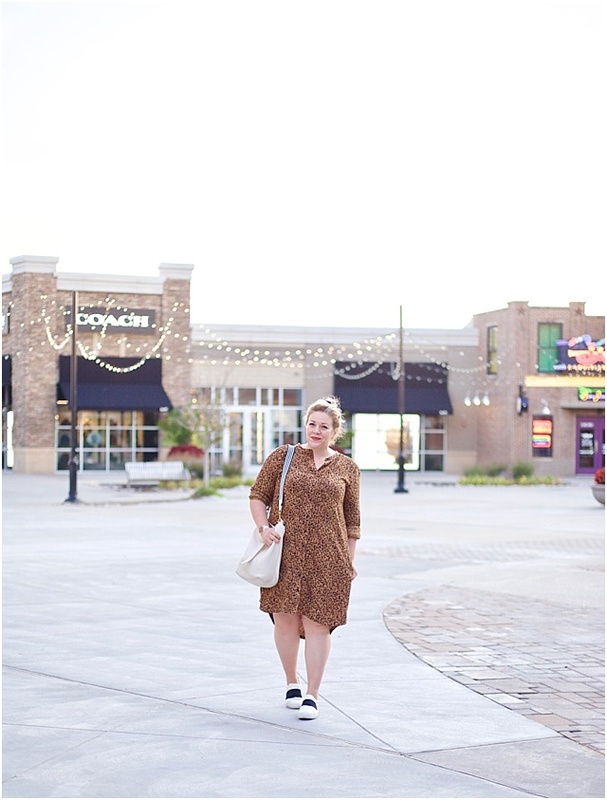 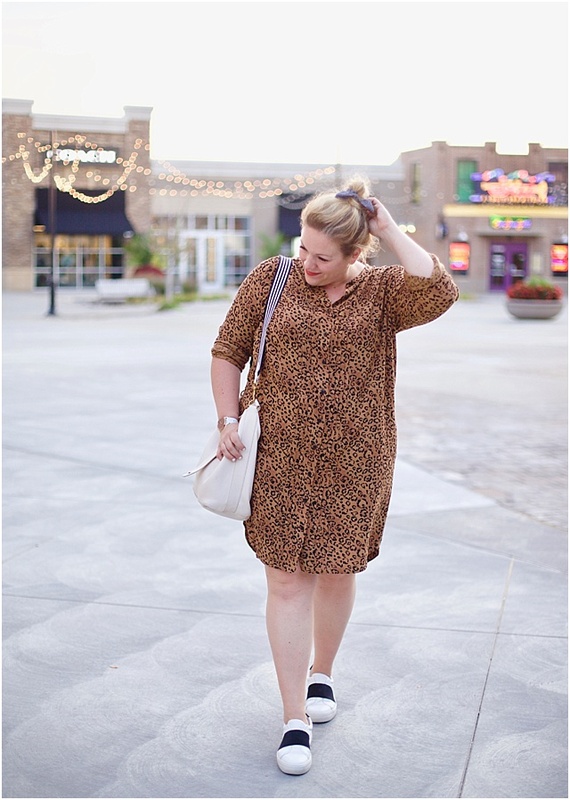 Favorite Wears: Scrunchy, Leopard & Sneakers - Oh my! 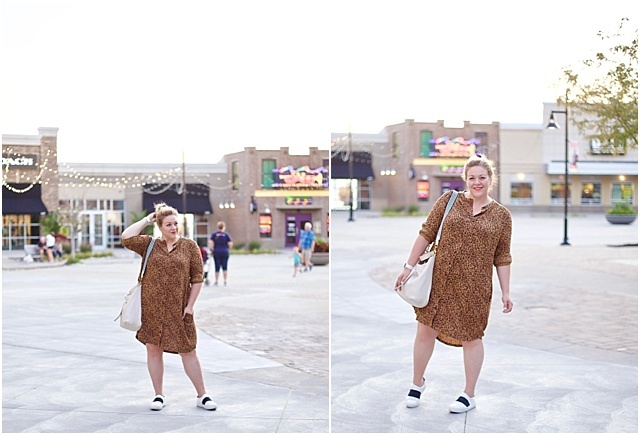 I love taking a shirt dress that I've historically dressed up for events or work, and turn it casual with sneakers - and a scrunchy (gasp!). 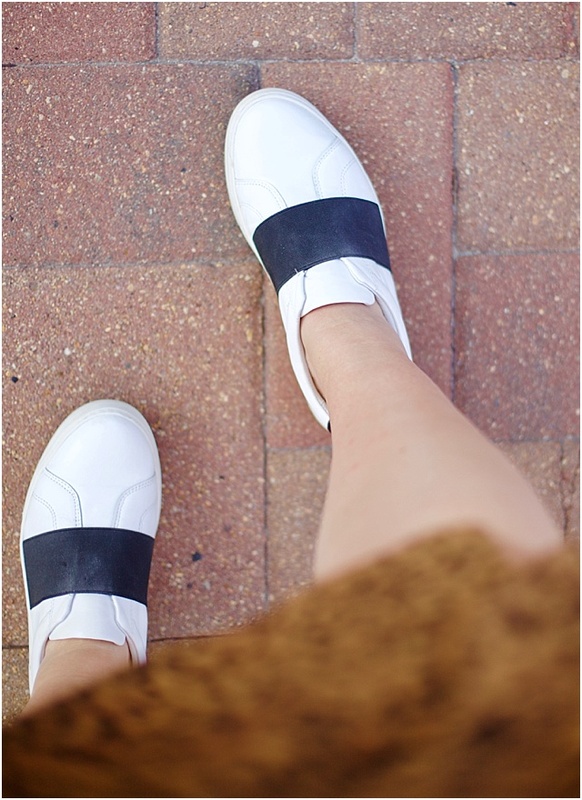 Sneakers are my go-to these days, and I love a pair that look a bit different. 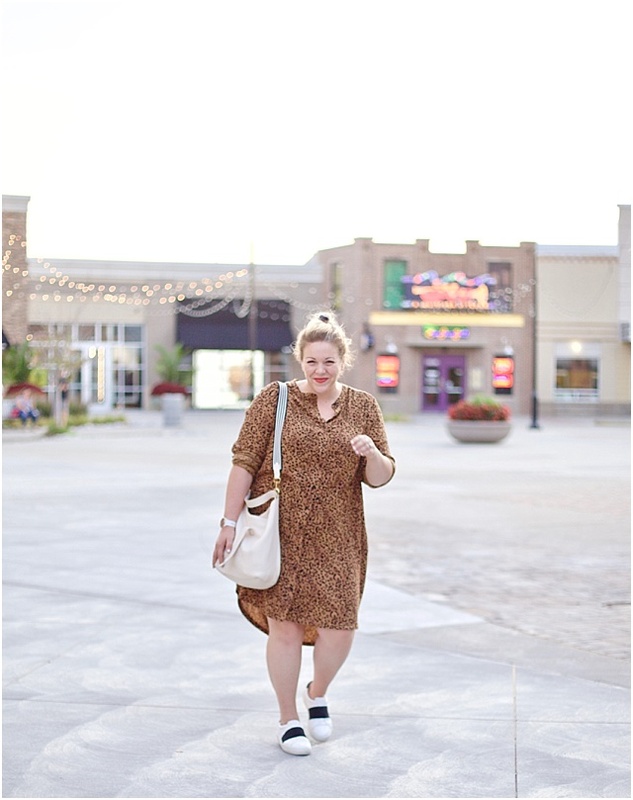 I wore this outfit to work and then out after with friends for a night of shopping and dinner.